Sue brings personal experience of being mother of three, separated and remarried. 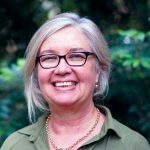 Sue has worked with children and families since the early nineties and has been a registered Psychologist in Queensland since 1998. Sue became involved in post-separation family work over a decade ago and continues to specialize in this area of work in her roles as therapist, mediator and report writer. She is a registered Family Dispute Resolution Practitioner. In 2010 Sue enrolled for a doctorate focusing on children’s adjustment following family breakdown, bringing together her passion for working with children and understanding the dynamics of post-separation families.